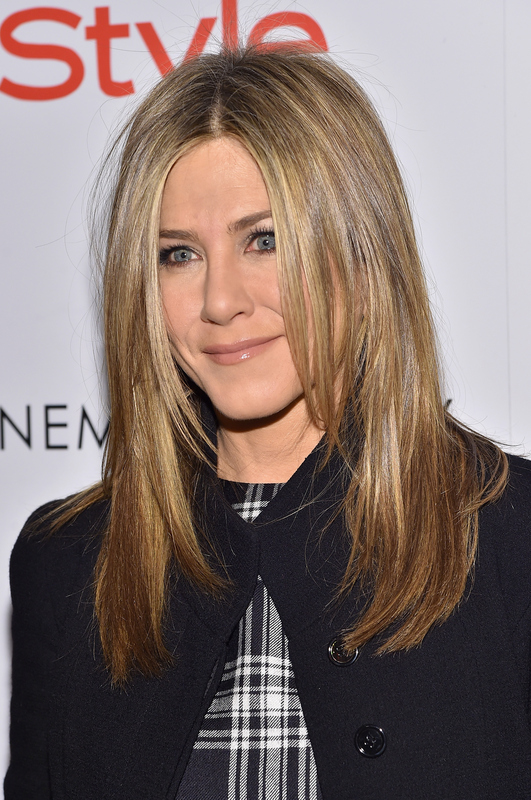 Jennifer Aniston Screens Cake In A Plaid Dress That Rachel Green Totally Would Have Worn, Who Else Misses Friends? Aniston wore a plaid mini dress with two front pockets, a flared-hem coat, black tights, and suede knee high boots. Hold tight a sec while I pin this outfit pronto. Not only did the 45-year-old actress manage to look both cool and ladylike at the same time (only Jen), but her ensemble was also quite characteristic of one that her most famous character, Rachel Green, would have worn. I'm having 10th season flashbacks as we speak. She kept her make-up smoky and her hair typically sleek and straight, but the defining feature of this outfit for me has got to be that coat. The flared hem makes it feel feminine, but the slight overlap of the collar gives it a bit of a rock-and-roll vibe, so it doesn't feel too prim and proper. Plus, it's perfectly nipped in at her waist, accentuating her to-die-for figure. Not only does Jen not age, but her fashion never falters, either.